Experience an energizing yoga class and meditative peace at the lake outdoors. Unwind and relax with yoga flows, stretches, breathing techniques, meditation and final relaxation to rejuvenate and restore. Come and join us for a lovely morning together. What to bring: Please arrive a bit earlier and bring your own yoga mat. The class is 25 CHF per person. For whom: All levels are welcome. Register: Please email me before when you want to come to sandra@simplyloveyoga.com. I will email you latest at 8 am in the morning, if the class takes place, depending on the weather. 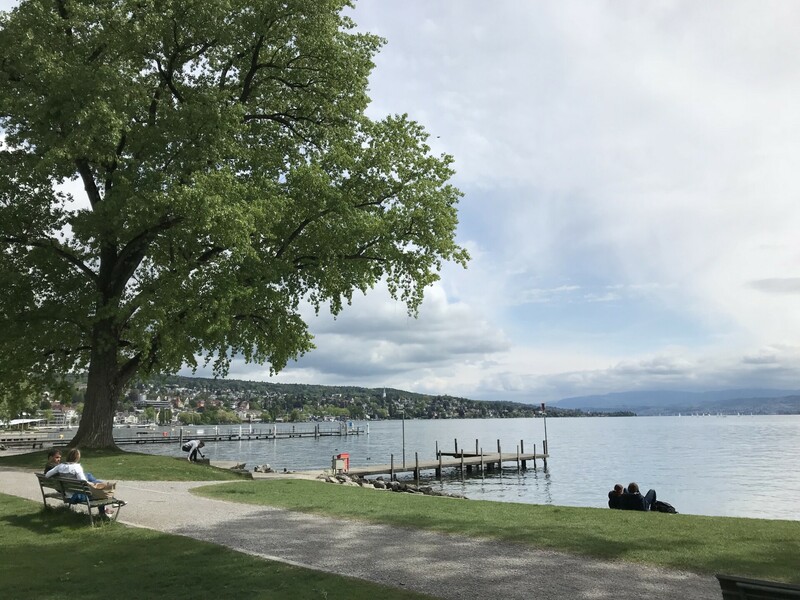 Location: We may use the platform in front of the Bellerive Museum, where there is currently the ZAZ Exhibition “Nach Zürich” (thank you very much for this). It is right where Höschgasse meets the lake. Community: For those, who would love to spend some time with the group afterwards we can have coffee or breakfast together afterwards. If you have kids you can bring them along. We can repeat this morning yoga at the lake if you are happy with it and make it a regular class during summer for example every second week.